Luxurious full mahogany mink headband. 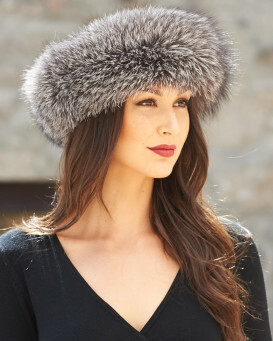 Our mink headbands are made with premium quality ranch raised USA mink fur. The ends of the headband attach together with Velcro which can be adjusted to fit any head size. Soft velveteen lined interior for luxurious comfort. Superior style and quality. 4.5 / 5 from 76 customer reviews. 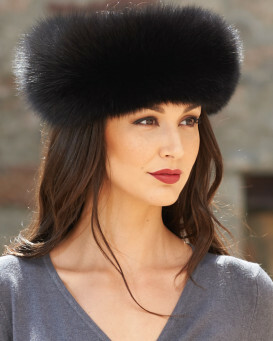 "Love mink fur headband, just right not to big and bulky, because my head is small, been having trouble finding right fit. Very beautiful, good price." 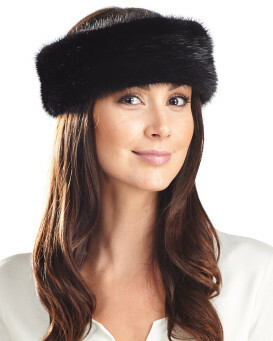 "The black Mink headband was a delight for my wife. She loved it. It was very good quality and a good price." "So far so good, received as promised, looks good, wife will tell me if I was correct,"
"This item was a christmas present and was lauded for its beauty and craftsman ship. agreat Product , the service was exellant. Thank you. BJ." "Nice but way to big for my mother's head, had to return"
"Beautiful, good quality, fast shipment, will purchase from them again." 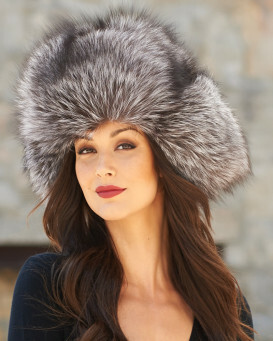 "The quality of the fur is very good. Unfortunatley the color was not what was shown in picture. The color was much darker, more blackish than brown. May have to return due to the color. Thanks"
"I bought this for my mom for Christmas. She needed something to match her coat. The match isn't perfect, but she loved it. I personally didn't like the way it bulged out when she closed it with the Velcro. Otherwise, the quality was nice."